I'm in Chicago. It's just like being in Illinois except there are no cows and no miles and miles and miles of corn fields. Last edited by akullander; 07-30-2010 at 06:57 AM. belleville/o'fallon area in stl metro east. Joliet 07 passat 2.0t gray. Do you guys meet up at all or do swap meets, are there any meet resources a new vw owner should be aware of. Nothing this summer so far. Last get-together I know of was the one up at The Brat Stop this past winter. The turnout for that one was great! I created a Face Book Page to use as a central information source for Chicagoland area events, but I haven't done anything with it yet. My reasoning for a page independent from PassatWorld is so Chicago people from PW, Audizine, VWVortex, TDIClub or no forum affiliation at all could have a means of local event notification. Feel free to come up with an idea for an event and I'd gladly help plan it and spread the word. Yes, Steve, Brat Stop was the last one. What did we get - 50 cars? People were cold and wanted to get out for a bit. 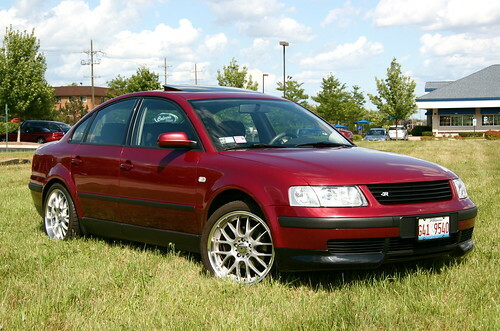 '05 TDi wagon in Libertyville. EDIT: We moved to Edwardsville this summer. Halfway between Elburn and Sugar Grove off route 47. We'll have the hippie camper at the car show for Kaneville Days on August 29th, so pop by and introduce yourself. Last edited by jdiaz; 10-02-2014 at 05:35 AM. This sounds awsome.... anyone up for a convoy? Trying like hell to make it to Treffen this weekend, but not betting on it. Just moved a few weeks ago and have a ton of projects around the new house.